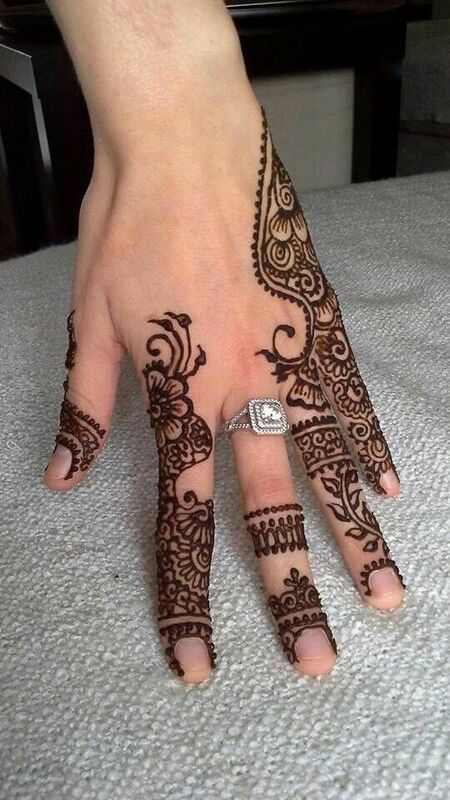 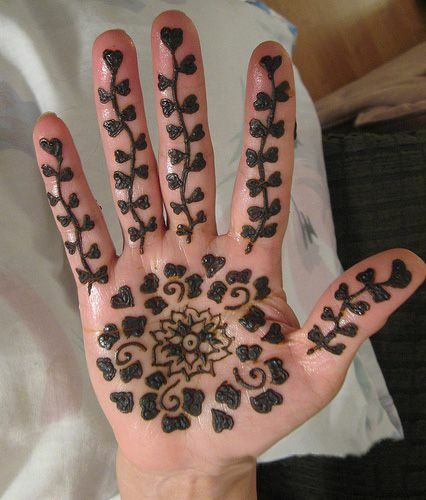 You must have seen this design on most of the bride’s hands on a wedding. 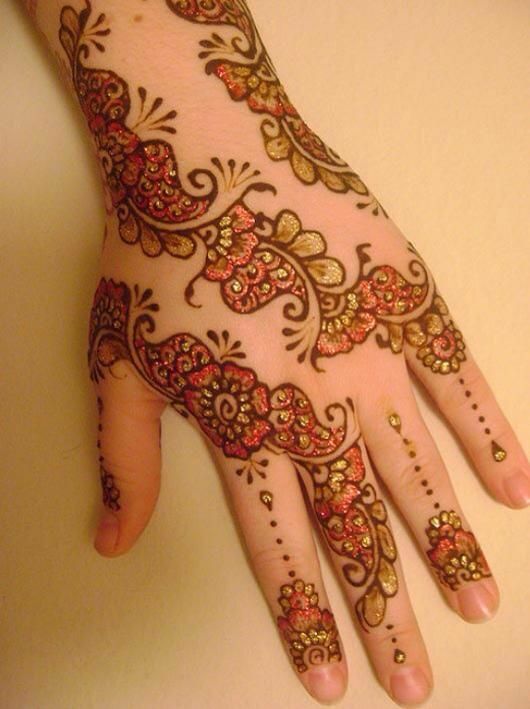 This is kind of a traditional design with intricate patterns. 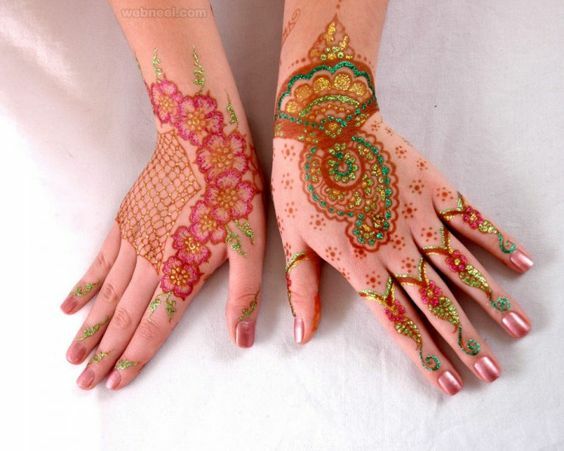 What can be better than adding glitter over this beautiful mehndi design? 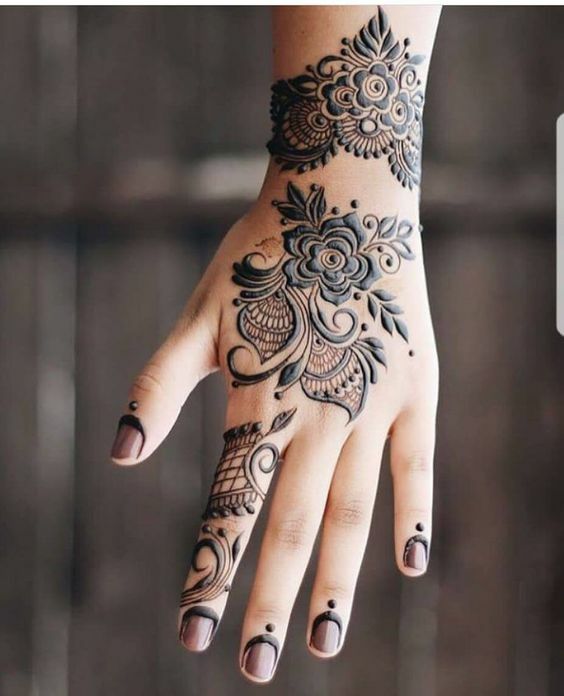 You are definitely going to love the final look of it. 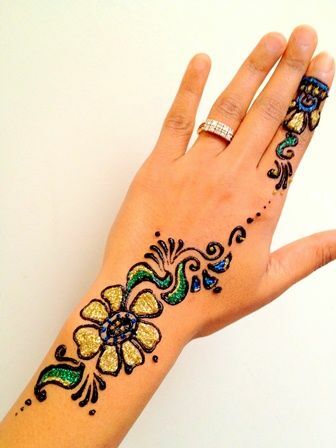 Glitter mehndi can always grab a lot of attention to an area where it is applied. 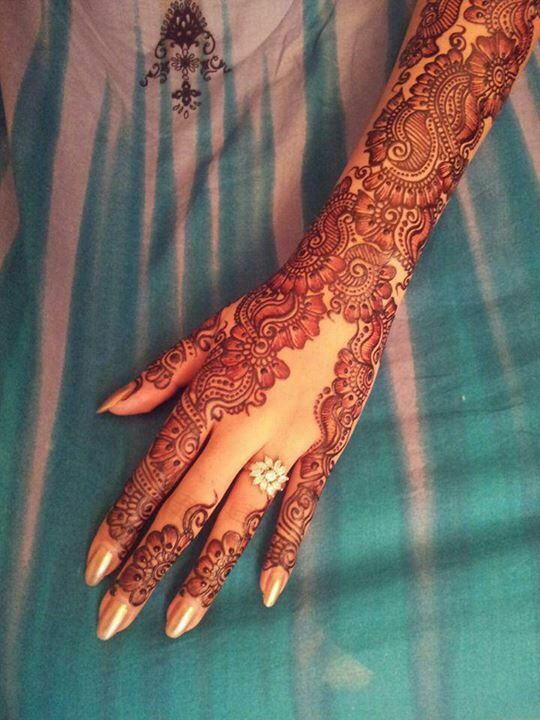 It makes the hand look super beautiful because sometimes beautiful wants a sparkly factor in their mehndi designs. 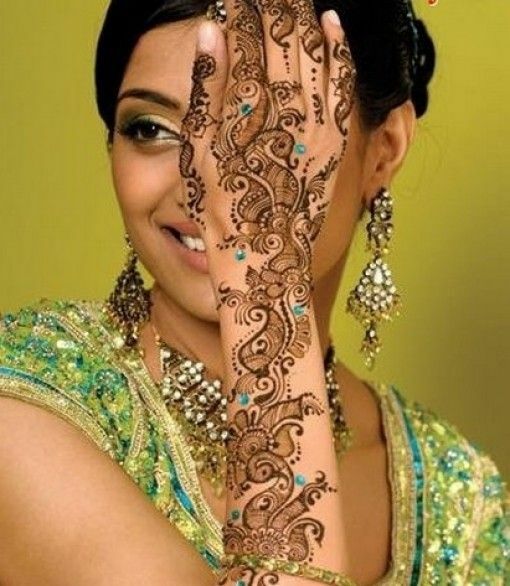 Have a look at this gorgeous bridal mehndi design which you will definitely fall in love with. 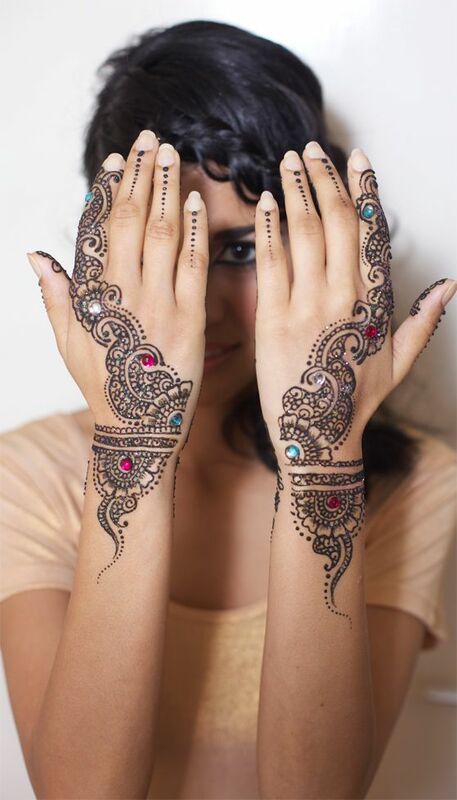 Girls, how perfect is this bridal mehndi with sparkly glitter? 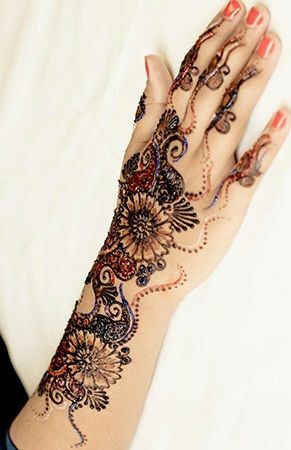 I am definitely in love with this mehndi design as it is very simple yet looks super classy with that touch of glitter. 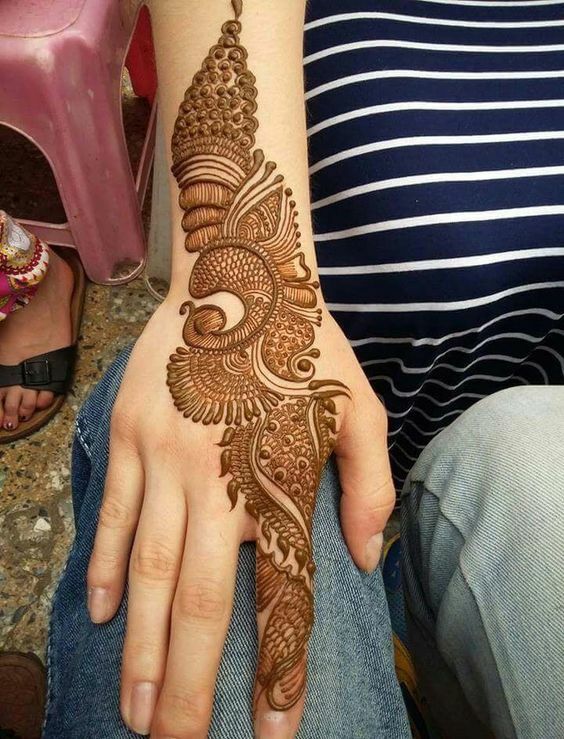 It has various patterns at the back of the hand and fingers which makes it look unique. 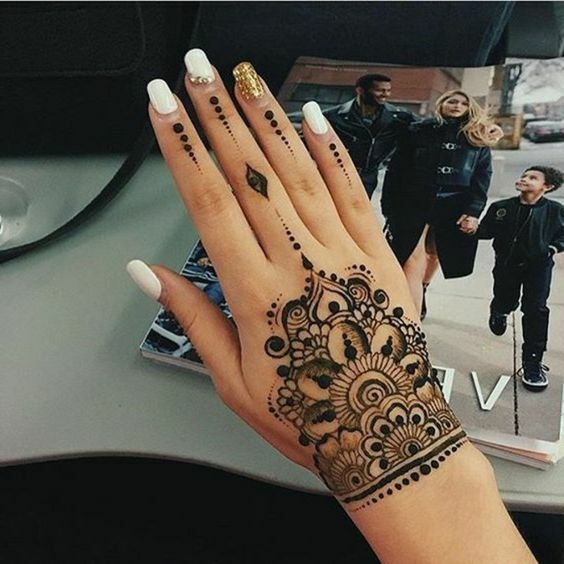 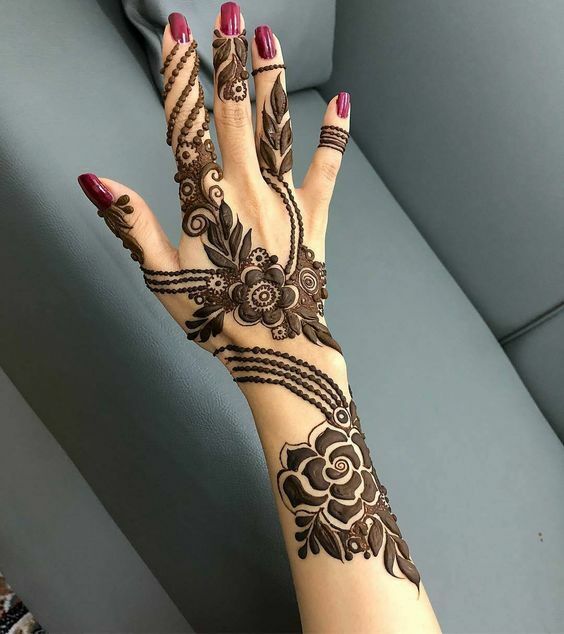 Now, here comes a mehndi design which is perfect for brides who want something heavier on their hands or a design with a lot of patterns. 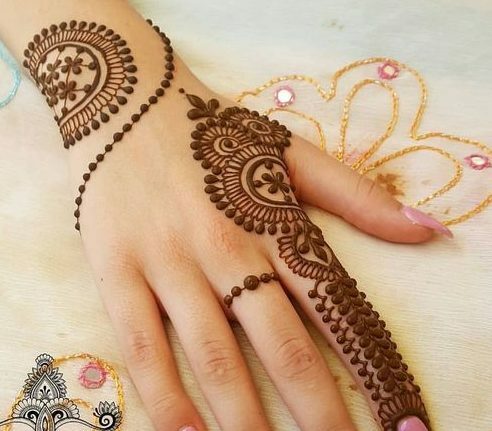 This design is perfect for those people as you can see a lot of mehndi with just a tiny bit of pink glitter inside some tiny patterns. 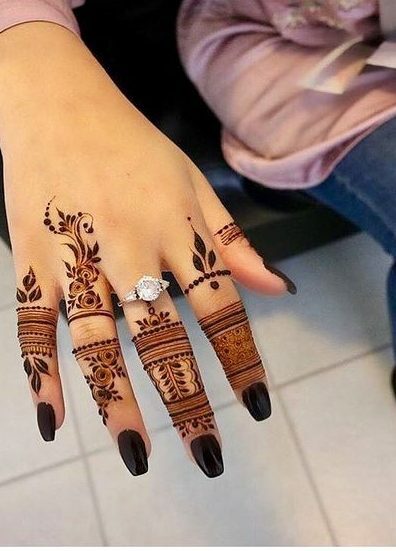 For all the girls who are bored of traditional mehndi design and want something different for their big day, I bring you this amazing design. 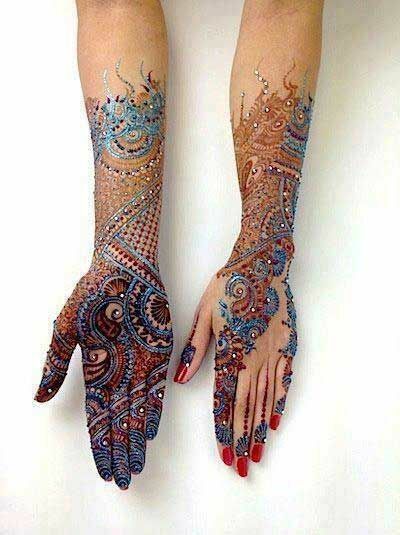 This is one trendy and modern mehndi design with the perfect amount of glitter that looks absolutely ravishing. 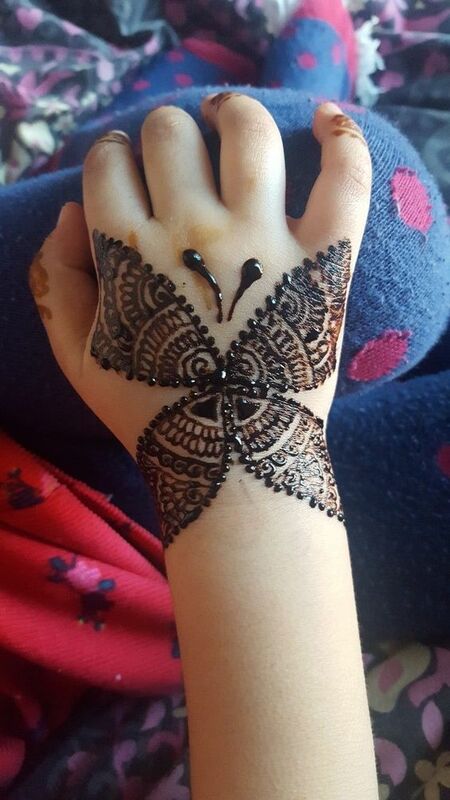 Here is a yet another peacock mehndi design which is really simple to make. 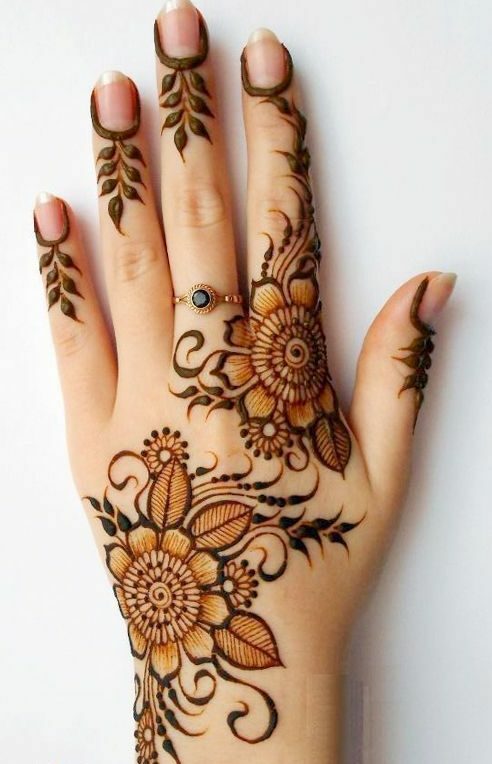 IT has been made at the front of the hand where you can see beautiful patterns in the form of a vine. 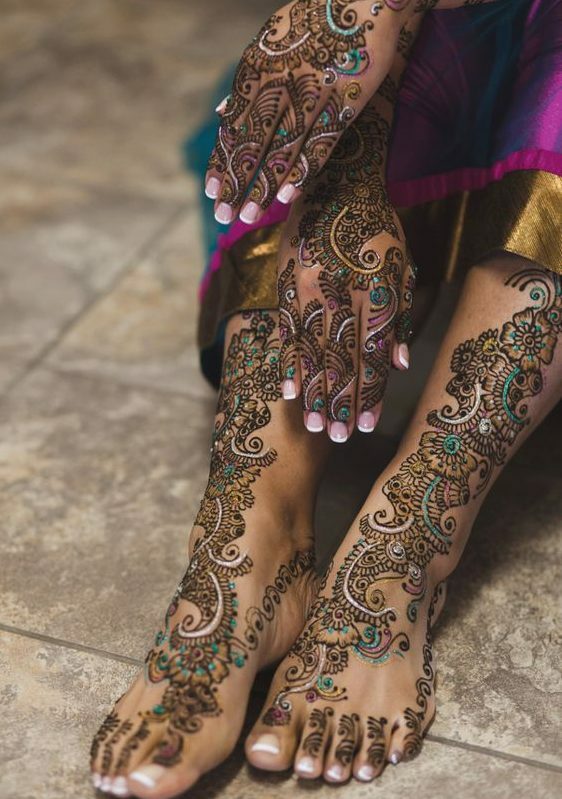 Moreover, there is a beautiful peacock design on the tips of the fingers. 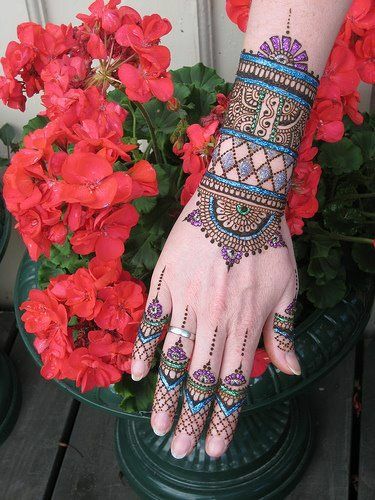 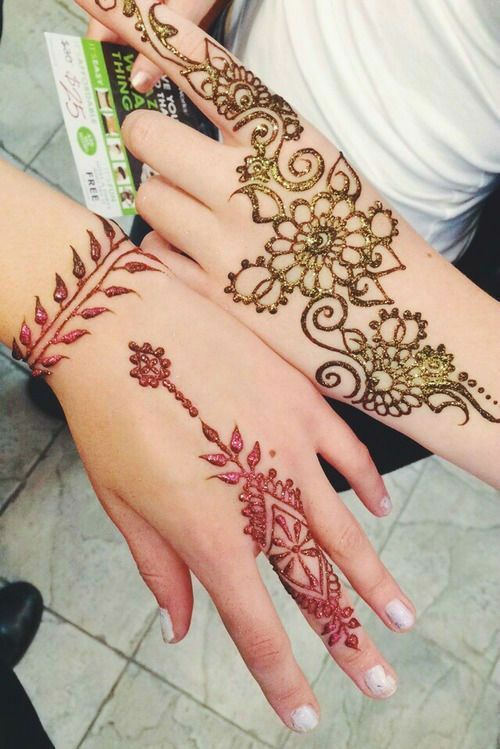 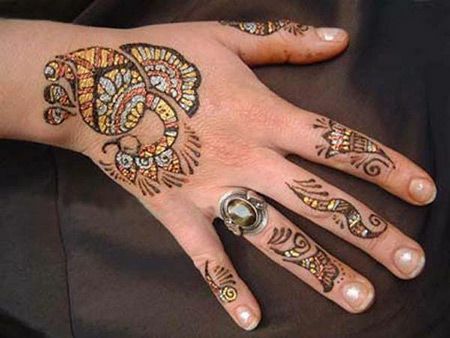 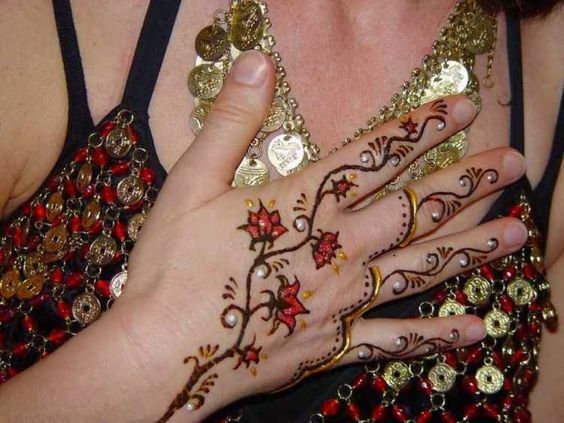 Arabic mehndi is the kind of mehndi that can attract anyone to itself with its alluring and artistic patterns. 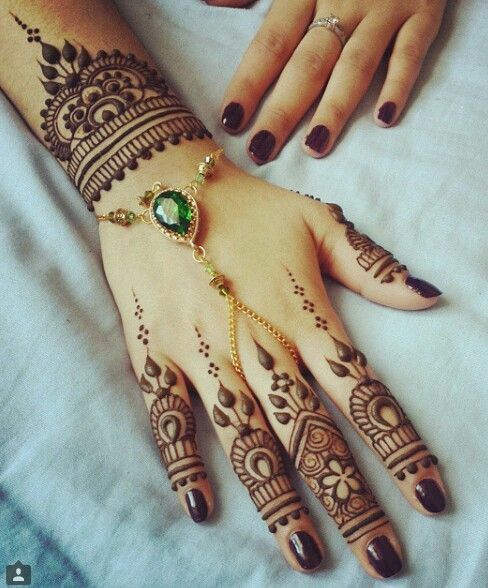 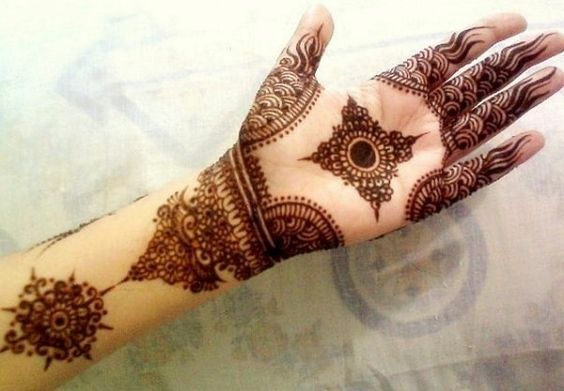 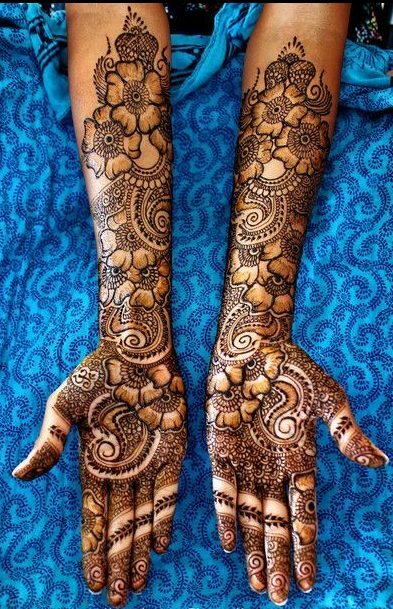 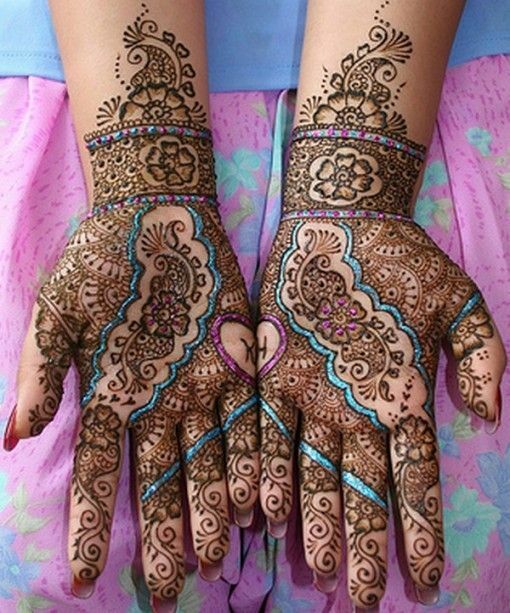 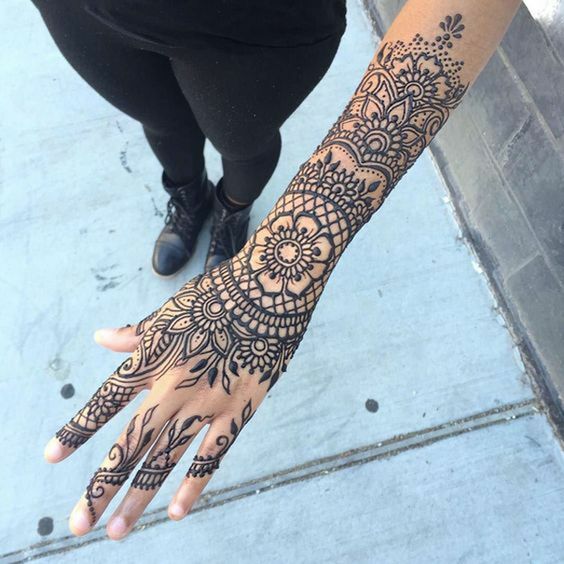 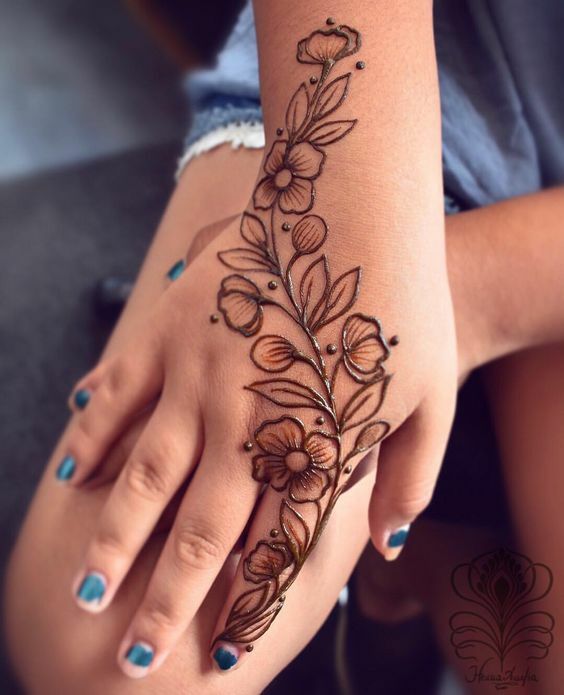 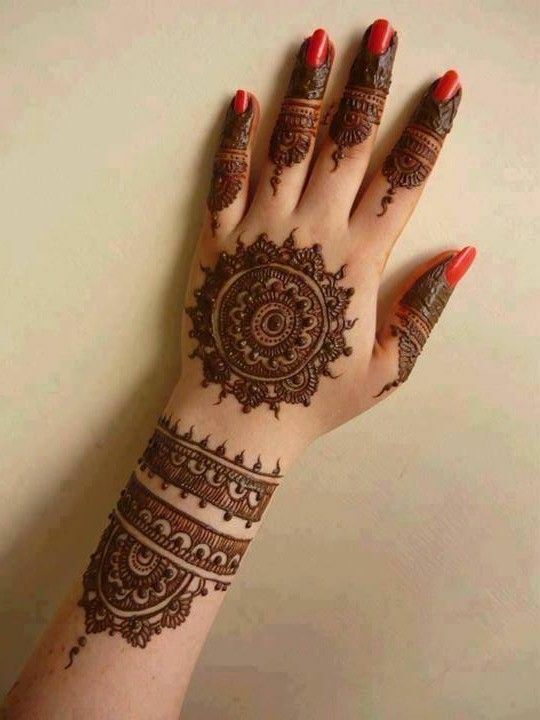 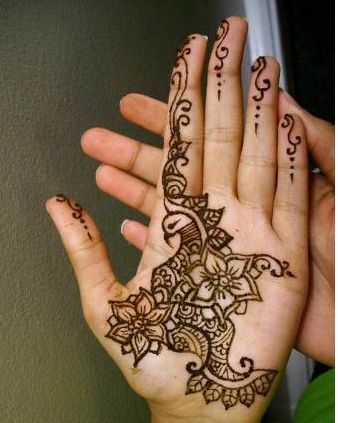 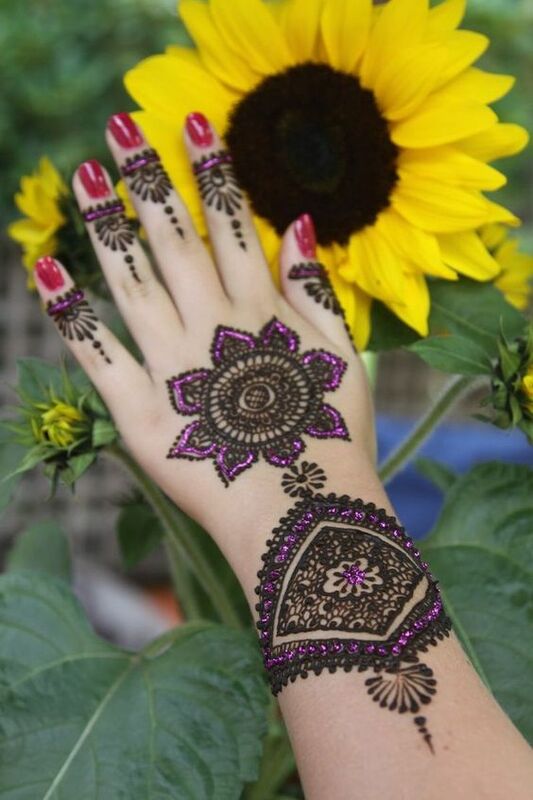 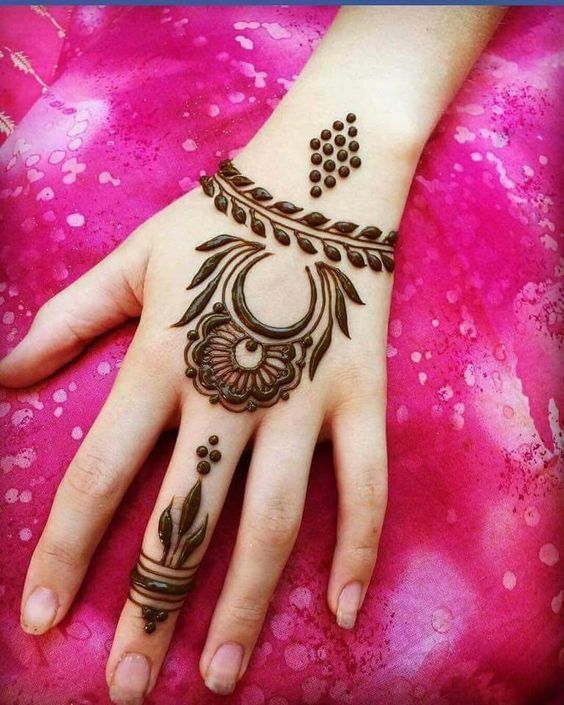 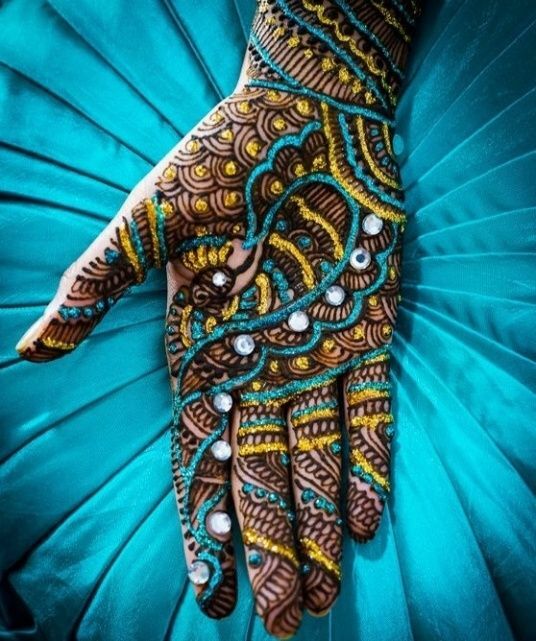 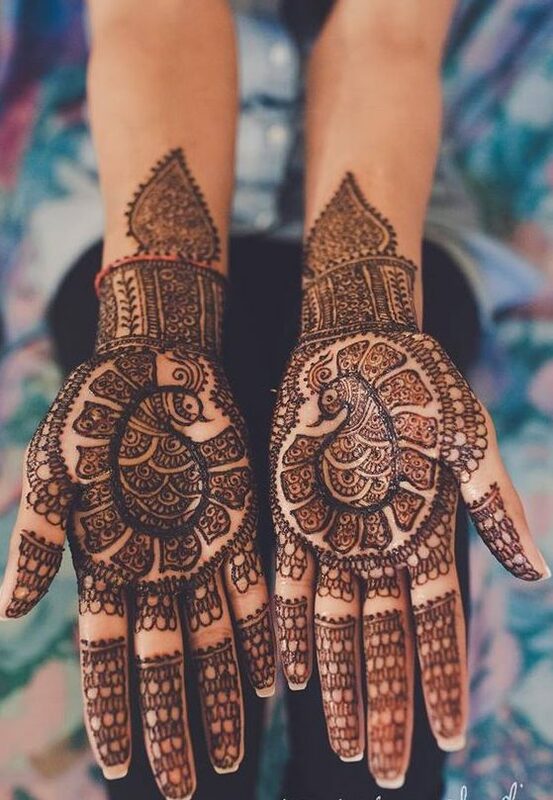 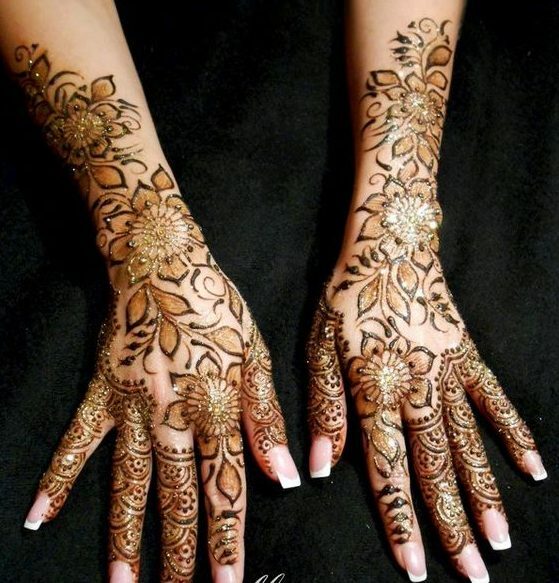 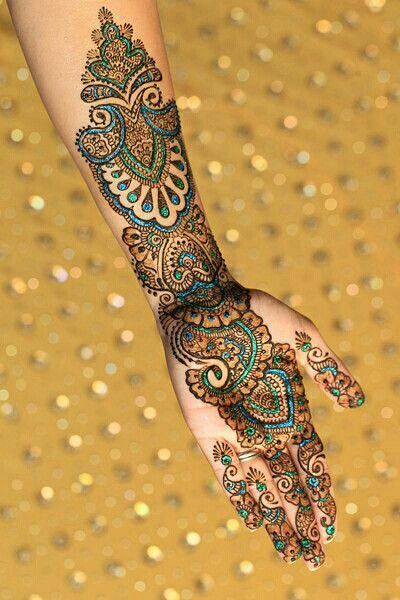 Look at how gorgeous this mehndi design is for the back and where you can see some shaded regions inside it. 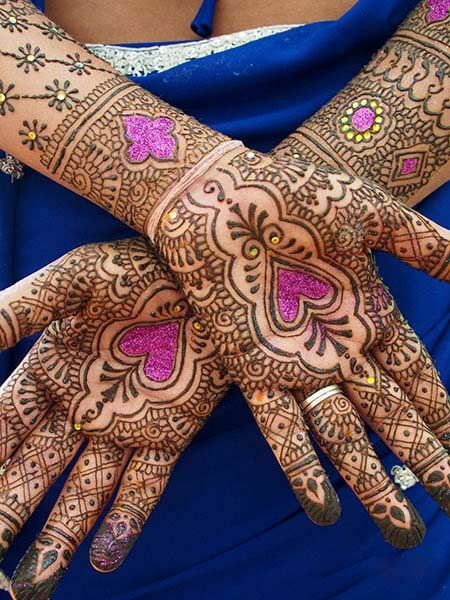 Moreover, the fingers have dotted patterns which look lovely. 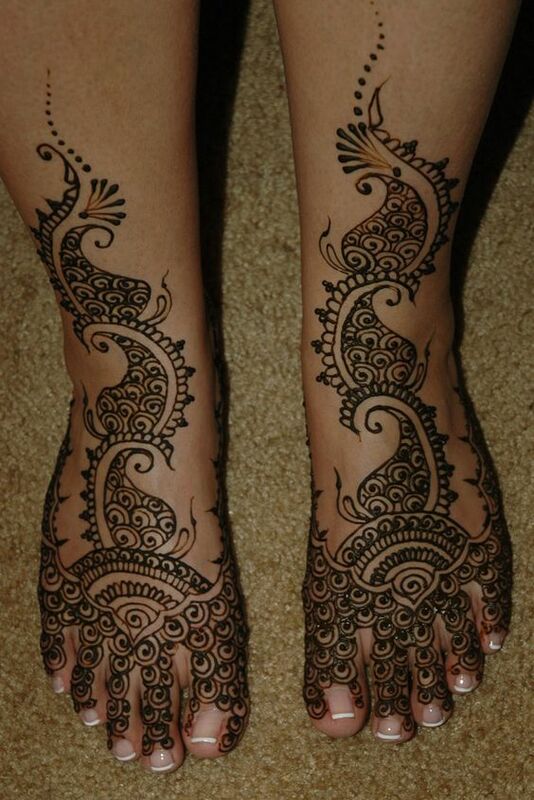 Foot mehndi is something in which you should spend a lot of time looking for the perfect design. 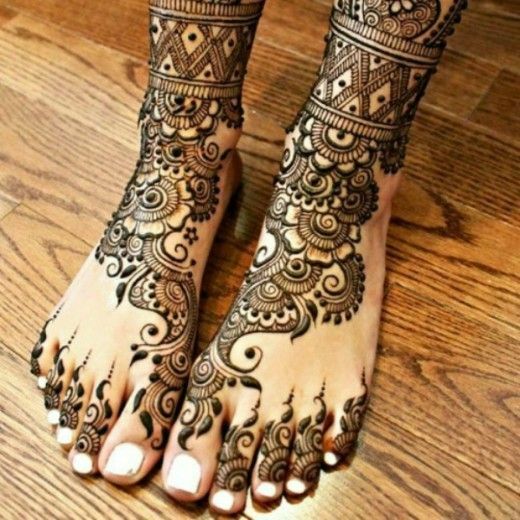 Look at how beautiful this mehndi design is which has various patterns and it has been made up till the leg which can make anybody's feet look amazing.